Does Winners Only Lottery Really Work? Read Reviews! Yet another “system” aimed at helping you beat the lottery algorithm and “guaranteeing” you either bigger or more frequent lottery payouts than ever before. How many times have you seen software products and lottery systems supposed to improve your odds of winning? How many times have you been promised multiple payouts because the lottery code has finally been cracked? Well, here’s yet another program that makes the exact same promises. It is called Winners Only Lottery and unfortunately, the promises are as vague and unsubstantiated as in all other cases. Let’s get started and untangle this web of rather unbelievable promises. What Is Winners Only Lottery and What Does It Do? 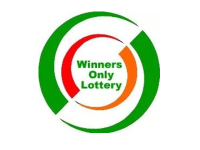 Winners Only Lottery refers to several products all being sold under the same name. One of them is a guidebook, the second option is an ebook and there’s also a membership program that’s supposed to provide more personalization and perks than the other two possibilities. Members are given access to a detailed guide about Pick 3 and Pick 4 state-based lotteries winning strategies. According to the makers of Winners Only Lottery, their system applies to all games, regardless of state or entity behind the respective lottery. 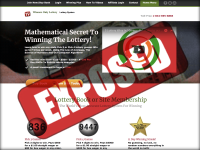 The homepage of Winners Only Lottery promises “verified wins from $250… to $7,500 per day.” It’s not clear exactly how these wins are verified, who has verified them and what the term verified wins means. The ads make even bolder claims, saying that the system takes the guesswork out of the equation. Lottery players are provided with information exactly how to choose numbers in order to improve their odds of winning every single day. While the website mentions that a mathematical formula is being used for the purpose of increasing chances of success, there’s no information about the algorithm or how much of a difference it makes in playing Pick 3 and Pick 4 games. The advertising blurb says that “the law of averages, the science of numbers and our computer algorithm” are being utilized. To put it in simple words, this means that the program probably relies on hot and cold numbers (much like all other similar systems that have supposedly cracked the lottery code). To play using hot and cold numbers, however, you don’t really need to spend any money on assistance. Such information is readily available for free. The cost of Winners Only Lottery isn’t as outrageous as in the case of other similar systems. There are a few options that players can choose from. The first one is the Winners Only Lottery ebook set at five dollars. It can supposedly be acquired from the official website of the program but the link takes you to the monthly subscription. The book is available on Amazon and it cost six dollars. If you want the lottery book, you should be prepared to spend 13 dollars. The site membership is set at eight dollars per month, in which case, you will be getting access to a computer algorithm that will help you pick the winning numbers every single time. How Does Winners Only Lottery Work? This isn’t really clear but most probably, hot and cold numbers are being utilized. It’s difficult to believe that a more sophisticated algorithm has been developed. If it had been, the authors of the program would have certainly bragged about it and let the world know what their efforts have contributed to. While the Amazon ebook page suggests this is the world’s most accurate lottery system, there is really no proof of the effectiveness of this program. The first page of the book features a disclaimer that says it’s impossible to predict the winning lottery numbers. At the same time, Winners Only Lottery is supposed to help members and readers win Pick 3 and Pick 4 games three to four times per week (GUARANTEED!). The buyer comments paint a completely different picture. Most of the ebook reviews give it a single star out of five possible. Readers claim that the book is in essence one big advertisement for the Winners Only Lottery website. It doesn’t say anything and it doesn’t give the readers any tips unless they sign up for the monthly subscription. You be the judge if this is an ethical practice (even if the website algorithm were effective). There certainly are a few exaggerated positive reviews out there but keep in mind that Winners Only Lottery has an affiliate program. Whenever a sale is generated through one of the affiliates, they win a commission. Thus, such parties are interested in sounding excessively positive for the purpose of generating a bigger number of sales. There is a 30-day money-back guarantee, which at least is some kind of reassurance. As far as canceling a membership, people who have signed up and made a payment with PayPal can do so automatically. All others will have to contact the website administration and cancel the subscription this way. There are no accounts of anyone having a problem with canceling the subscription so hopefully, the process is a simple one. The website also features the standard disclaimer that you are using the software and the program at your own risk. Thus, despite the promises of GUARANTEED payouts, the company behind the website is steering clear from responsibility. There is no guarantee you’ll be making as much as those who supposedly have already won through the program (i.e. people who don’t exist and have been made up by the makers of the system). Who Is Behind Winners Only Lottery? The ebook on Amazon is supposedly authored by someone called Rodney Lundy and we’re almost 100 percent confident this is a pseudonym. When you do some additional research, you can’t really come up with any additional information about mister Lundy and why he’s supposed to be a lottery expert. The official address of Winners Only Lottery is in Marietta, Georgia. When you type in the address in Google, however, you get a recording and rehearsal studio. Things appear to be somewhat shady and whoever the person or company behind the software program is, they obviously want to maintain their anonymity. Would you mind rating Winners Only Lottery? This scenario is already so tired that it’s difficult to believe that so many people have “developed” similar “programs” in the field. If there were so many ways to crack the lottery code, we would have all become millionaires by now. Taking a realistic look at things, however, it’s almost impossible to combat skepticism and trust the claims of the Winners Only Lottery makers. Winners Only Lottery doesn’t offer anything new or unique. There’s no information of the mechanism being employed. There are no accounts written by people who have actually won using the program. The ebook has a horrendous rating on Amazon because it’s just generic and it advertisers the website program without giving people anything valuable. Do yourself a favor and save your money. The lottery is a game of chance and the odds are stacked against you. Hot and cold numbers can help to a degree but such information is readily available for free on the official websites of lotteries. Winners Only Lottery is really not worth the money, regardless of the fact that it doesn’t cost a lot. Because of the vagueness and the ridiculous promises, Winners Only Lottery gets a 1 out of 10 stars rating. I’m glad I caught this post after I used Winners Only Lotto, because it does work! So I could have been swayed just by their negative comments. It’s not good to believe everybody’s negative complaints, especially if you never know why they are complaining or making their claims. We don’t even know how long this complainer used the system for or even if they ever did? Some people just talk negative to make themselves sound like a big deal. And that’s too bad! I joined Winners Only Lotto in Oct. 2017. I don’t play everyday, but I have won 64 times to date Sept. 23, 2018. I used to win once a year on my own, so I appreciate testing them out and winning as often and as much as I do. They don’t promise winning everyday! But they do promise you will win more often than with any other Pick 3 or Pick 4 software system. As will, they teach you how to understand the Lottery and the math behind the game so you will win better!